While many were watching the official Moon Pie drop at midnight in downtown Mobile, our Residents brought in the New Year with a Moon Pie celebration of their own! 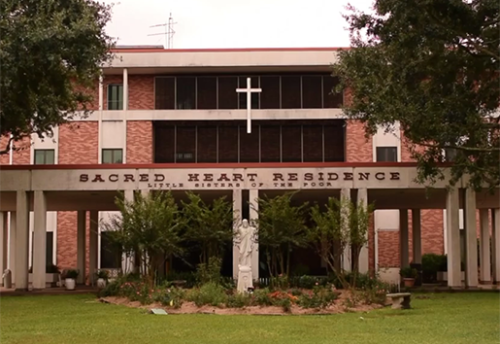 A local artist, Sr. Sandra Ardoyno, SL, painted the oversized confection for our own special party in our auditorium.Residents enjoyed food and fellowship with the Sisters as they counted down to 2011 on a special clock that advanced the hours quickly! 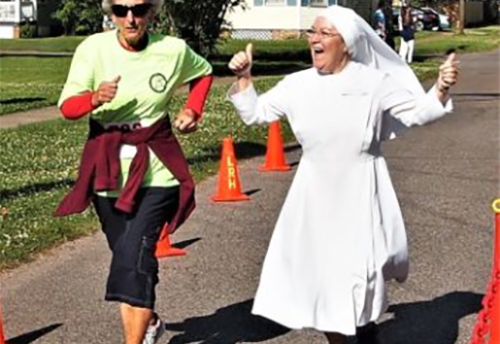 Another special treat was music provided by the family of novice Sr. Mary of the Passion from Pensacola, Florida. 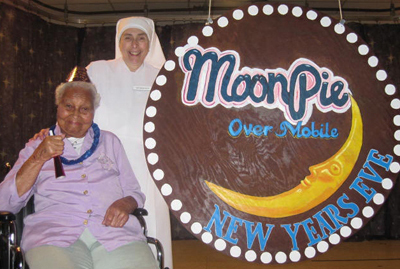 Pictured with our Moon Pie are Resident Eleanor Dinkins and Mother Paul Mary.